Welcome to August! It’s hard to imagine that in a month’s time we will be sending the children back to school. August 5th to August 11th is National Farmers Market Week! Stop by the market information table and receive a washable tattoo. Then take part in the the Farmers Market Coalition’s #lovemymarket Instagram contest (https://farmersmarketcoalition.org/national-farmers-market-week/instagram-contest/) . Double Sharp’s guest this week is David Grinspoon. Check out more information about David here (http://funkyscience.net/music/) . Last weekend we had a new occasional vendor- Cove Point Winery (http://covepointwinery.3dcartstores.com/) . They are located in Lusby, Maryland and try to use locally sourced grapes and other fruits for their 30+ variety of wines. Cove Point will return on August 11th. If you want to try their product earlier than that please stop by the Downtown College Park Farmers Market (10-2) this Sunday. On August 12, 1918, the first airmail delivery by the U.S. Postal Office Service between Washington, DC and New York occurred with the Washington end originating at the College Park, MD Airport. The College Park Aviation Campus (College Park Airport and College Park Aviation Museum) will be commemorating this event with a 3-day celebration (August 10-12). Saturday, August 11, will be a Family Day with many activities. The College Park Aviation Museum will have a table at both the Hollywood (August 4) and The Downtown College Park (August 5) farmers markets. Stop by the table and find out about the events and how you can volunteer to help with the celebration. 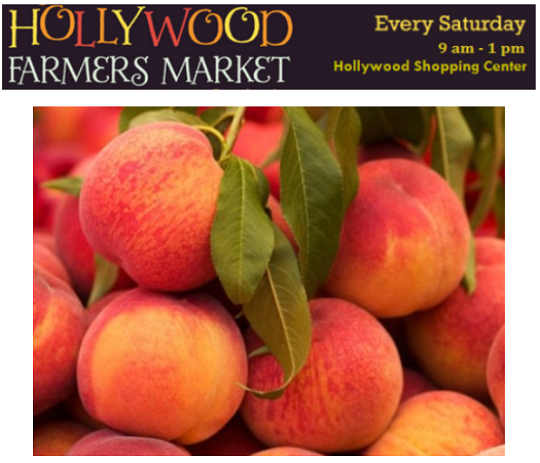 Copyright © 2018 *Hollywood Farmers Market, All rights reserved.